Himalayan Climate Initiative (HCI) is a youth-driven and solution-oriented Nepali Not-For-Profit Organization legally registered at the Social Welfare Council of Nepal. It is co-founded by fourteen prominent Nepali citizens to build inclusiveness and climate resilience in Nepali society and economy. HCI delivers impact by incubating and sustaining social-entrepreneurial initiatives. Click here to view all HCI initiatives. 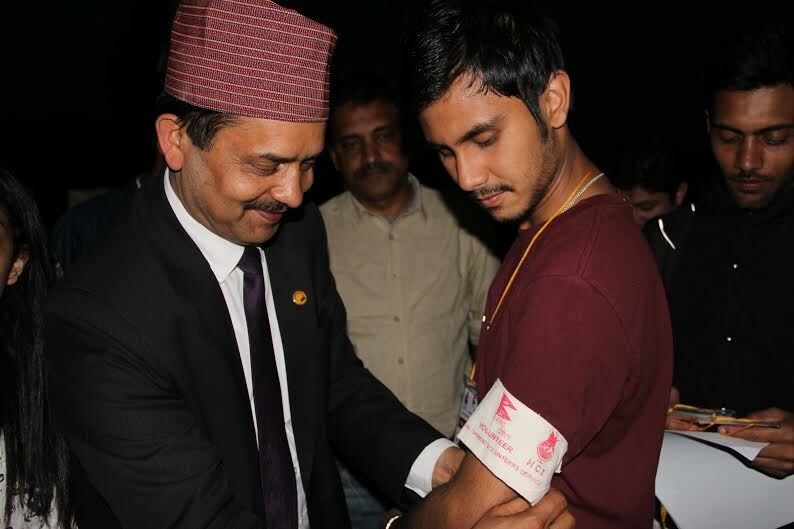 Bank Name: NIC ASIA Bank Ltd.
National Planning Commission Vice-Chairperson Dr. Govind Raj Pokhrel putting a hand-band to a National Volunteer involved in the National Volunteering Program.